Can you imagine an entire novel, spoken through the senses of a foetus, awaiting his entry into this world? McEwan’s opening sentence sets the stage: “Here I am, upside down in a woman.” From that point, this young man extols first the “condition of the modern foetus. Just think: nothing to do but be and grow, where growing is hardly a conscious act. The joy of pure existence, the tedium of undifferentiated days. 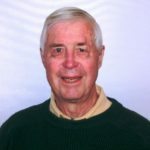 Extended bliss is boredom of the existential kind … In here I’m owed the privilege and luxury of solitude,” as his mother listens continuously, with ear-buds, to self-improvement books, biographies and world classics. That sums up this mesmerizing story, in a nutshell: a woman’s womb for your world view. 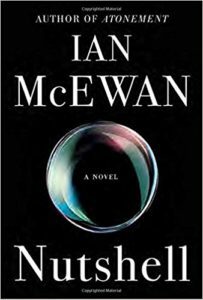 Editor’s Note: ‘Nutshell’ by Ian McEwan, was published by Doubleday, New York, 2016.